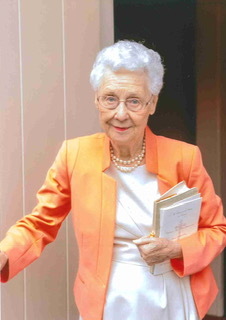 Barbara Lawes Click Hopper, age 87, passed through the thin veil to eternal life Monday, February 4, 2019 in her home at The Meridian. She was born on Galveston Island May 19, 1931, to adoring parents, Sarah Davison Lawes and William Lawes, and was always proud to be “BOI”. She graduated from Ball High School, where she met Arthur “Frank” Click, Jr., her high school sweetheart. She attended Lindenwood College for Women in St. Charles, Missouri, then SMU in Dallas, where she received her degree in Biology. While at SMU, she was active in Chi Omega Sorority. After college, she and Frank married, and moved to Houston where they raised three children. Over the years, she used her interest and degree in biology while working at Baylor College of Medicine, M.D. Anderson, and Rice University in various cancer research labs. She was preceded in death by her brother William Mitchell Lawes; first husband Arthur “Frank” Click, Jr., second husband Carl Jefferson Hopper and his daughter Gayle Hopper Adams. Following the death of her first husband, Frank, she was blessed to have a late in life romance with Carl Jefferson Hopper. 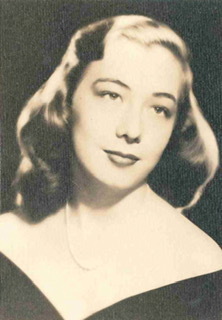 Carl was her brother-in-law, so she is not only survived by her daughters, Laura Ellen Corridan and Barbara Anne Short (Keith); and son Arthur Frank “Trey” Click III, but also by her nephew and step-son, Carl Hopper Jr., countless loving cousins, grandchildren and great grandchildren. The family would like to express special thanks to Gloria and Salvadore Hernandez for their loving-kindness and compassion in the care of their precious mother. Her passions were her family, her church, beautiful music & civic responsibilities and her legacy and influence will live on through all who were blessed to know and love her. For her friends living in Galveston, there will be a Memorial Gathering at The Meridian Chapel on Tuesday, February 19, 2019 at 10:00 A.M.
A memorial service will be held at her home church, The Episcopal Church of St. John the Divine, 2450 River Oaks Blvd., Houston, on Wednesday, February 20, 2019 at 2:00 P.M. with The Reverend Doug Richnow and The Reverend Susan Kennard officiating. In lieu of flowers, donations may be made to The Meridian Retirement Community Library Fund, The Episcopal Church of St. John the Divine - Music Ministry or to Trinity Episcopal Church-Galveston – Music Department Fund.